Switch to VoIP Phones for your business and reap the benefits of using a unified network for voice and data. Voice-over-Internet Protocol (VoIP) is basically technology that allows you to make and receive calls over data networks. Instead of traditional phone services which channel analog signals such as the sound of your voice over copper wires, VoIP converts these sounds to digital form first—so that they can be sliced, diced, packaged, and routed over a digital network. VoIP can allow you to dramatically reduce the cost of communications, especially for interstate or international communications, since everything can go through the Internet instead of having to go through expensive long distance toll charges. You can make and receive calls from multiple devices—for instance, on a dedicated phone, your PC via a software-based phone, or even a mobile phone with VoIP capabilities. It’s easier to add extensions to your phone. You can provide a local number or extension for all your staff without additional costs or cabling. VoIP allows companies to maximize investments already made in their network infrastructure. The same network that handles the flow of data such web access and email can now accommodate voice as well—no need to add and maintain additional wires and devices. VoIP allows your employees to be more productive and efficient by giving them the ability to receive and make calls anywhere with a data connection. VoIP reduces the complexity associated with having to manage multiple networks and devices for communication. A company can potentially set up their office network so that each employee can use a single device such as a computer or a smart fixed or mobile phone to handle everything from email, chat, messages, faxes, and more. You can use VoIP as a tool for real-time collaboration along with video conferencing and screen sharing. You can potentially unify your communication channels, streamlining communications and information management—for instance, marrying email with fax and voice in one inbox. 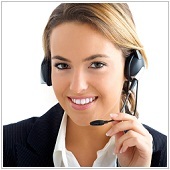 You can employ presence technologies that come standard with VoIP phones and VoIP communication systems. This technology can tell colleagues about your presence or give you info on the status and whereabouts of your staff. You can employ intelligence into how your calls are handled, such as: providing automatic call routing based on the number, time of day, etc; providing an interactive voice response when a call comes in, such as voice prompts that guide callers; call reporting; and more.